The process of falling in love is confusing. On the one hand, you’re filled with happiness and excitement, the thrill of what might be permeating your daily thoughts. On the other hand, this same thrill brings fear, vulnerability, and lack of control along with it. It is incredibly hard to put these feelings into words, mostly because you’re so immersed in them and they are so overwhelming. 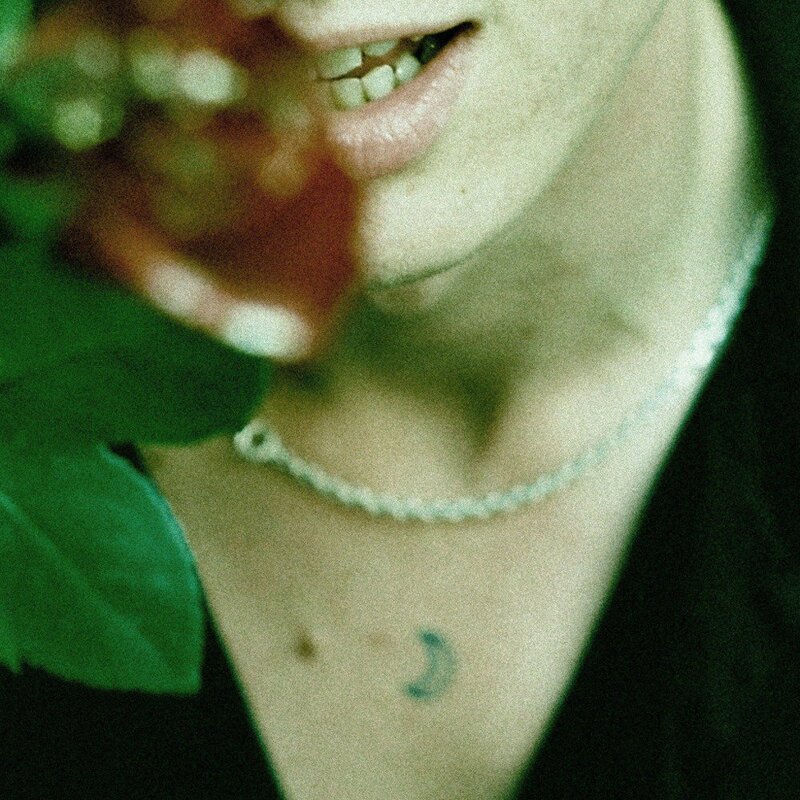 Wolf Alice’s new single, “Don’t Delete the Kisses,” is probably the most accurate description of what falling in love feels like. It is nuanced and exciting, bold but shy, autobiographical and universal, and shows a new side to the band both lyrically and instrumentally. If compared to the band’s other recent single, “Yuk Foo,” where lead singer Ellie Rowsell’s frustration is thrown at you and backed by a punk-leaning, guitar-led track, they are complete opposites. In “Don’t Delete the Kisses,” Wolf Alice slowly untangles the knots created in one’s mind when falling in love, with Rowsell telling her own story and opening her heart to you while at the same time enlisting you to root for her and subtly encouraging you to act upon your feelings in your own life. Catchy synths and a steady beat introduce us to the world through Rowsell’s rose-coloured lenses. She starts the song softly singing about being in love with someone, knowing they’re the one for you, but being afraid of the feeling and so not investing in it. Her voice is layered and full of naivety. In a moment of frustration, she tries to convince herself not to fall for this person by asking “What if it’s not meant for me?,” her voice turning slightly more in-your-face but still innocent enough to show the listener the question comes from a vulnerable place. She’s scared, but this is just the beginning of her story. Now, Rowsell speaks more than she sings, addressing the listener as if he or she is the object of her affection. In lyrics like “I’m typing you a message/ That I know I’ll never send” and “Then I’m trapped, overthinking/ And yeah, probably self-doubt” she conveys the feelings of confusion and fear when you’re first falling in love with someone in a way that is poignant, raw, and not cliché. She’s scared of love, scared of rejection, scared of what people will think, “delet[ing] the kisses at the end” to veil her feelings, but hyperaware of the fact that she’s completely falling for this person. Tension escalates towards the end of the verse where Rowsell paints the scene of her getting on the bus and leaving her loved one behind – the desperation, feeling of time being robbed from them, a flurry of emotions, all in a few seconds. The story is so well told, the images created so accurately in the listener’s head, that by the end of the first verse you find yourself completely absorbed in Rowsell’s love story and are rooting for her. And this isn’t only testament to how genuine her lyrics are, it also stems from the universality of her feelings – her skills as a lyricist are such that she manages to transform her own story (sprinkled with anecdotal information like the Hail Mary pub, which she admitted she changed the name of for the song, and the night bus she catches) into everyone else’s. On the second verse, things turn slightly more positive – we go from Rowsell fearing love to realizing she is in love, being happy about it, and acting upon her feelings. What’s so special about “Don’t Delete the Kisses” is how beautifully Rowsell manages to convey the simplest feelings that are the hardest to put into words, she outlines the thought process of someone who’s falling in love perfectly in lines like “I wanna tell the whole world about you/I think that that’s a sign” and “You’ve turned me upside down/And that’s okay, I’ll let it happen/ ‘Cause I like having you around”. She wins you over in the little details, like “I look at your picture and I smile”, “I’m losing self control and it’s you”, and this is where her story becomes your own again. By the end of the verse, the listener is so sucked into her narrative that her acting upon her feelings becomes a reason for celebration and probably an encouragement for the listener to act upon his or her feelings in real life. The chorus changes from “What if it’s not meant for me?/ Love” to “Me and you were meant to be/ In love” and you can hear the pure elation in Rowsell’s voice. Her voice is layered again and the happiness is so overwhelming it’s like a crowd cheering her on and celebrating her new relationship. She ends the song with the same line that started it, but this time instead of her being “swiftly out”, she lets the thought of the relationship linger and hints at it lasting forever, finishing the first chapter of their story and leaving the rest of it open to possibility, for the listener to fill in the gaps – or for her to fill them in on Wolf Alice’s sophomore record, Visions of a Life, which will be released on September 29th.